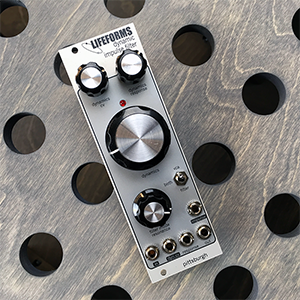 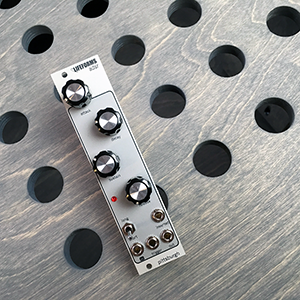 Anchored by a powerful pair of oscillators with a full complement of waveforms rich in harmonics and modulation options, three resonant filters, a pair of four stage envelopes, and deep midi options, the Lifeforms Foundation 4 is the perfect choice for east coast style subtractive synthesis. 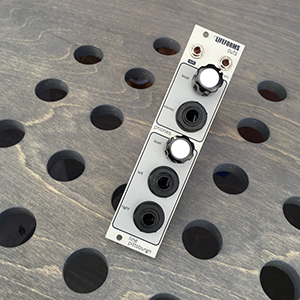 The onboard midi can be patched up to create monophonic or true duophonic synth voices, and can be controlled with the built-in arpeggiator. 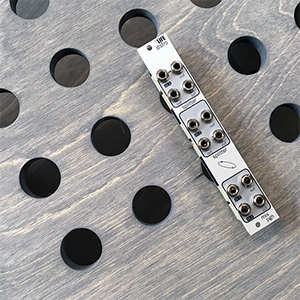 Everything from Berlin school electronic music to dirty funk bass lines are just a few patch cables away. 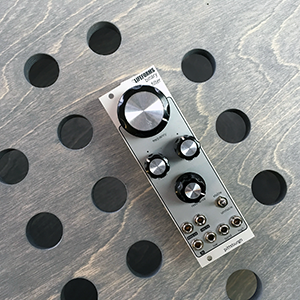 The same complex oscillator that sings for the east coast opens to reveal even more for the west. 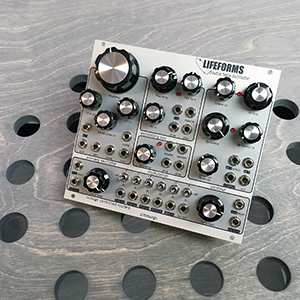 FM, non-linear waveshaping, and a unique variable response lowpass gate drive the Lifeforms Foundation 4 deep into west synthesis territory. 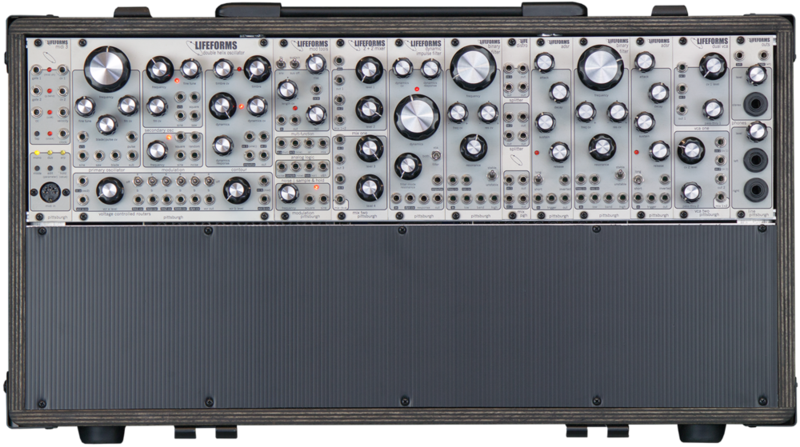 An additional lowpass gate, voltage controlled multi-function generator, chaotic random generators, and a host of utility modules firmly plant the Lifeforms Foundation 4 flag on west coast soil.